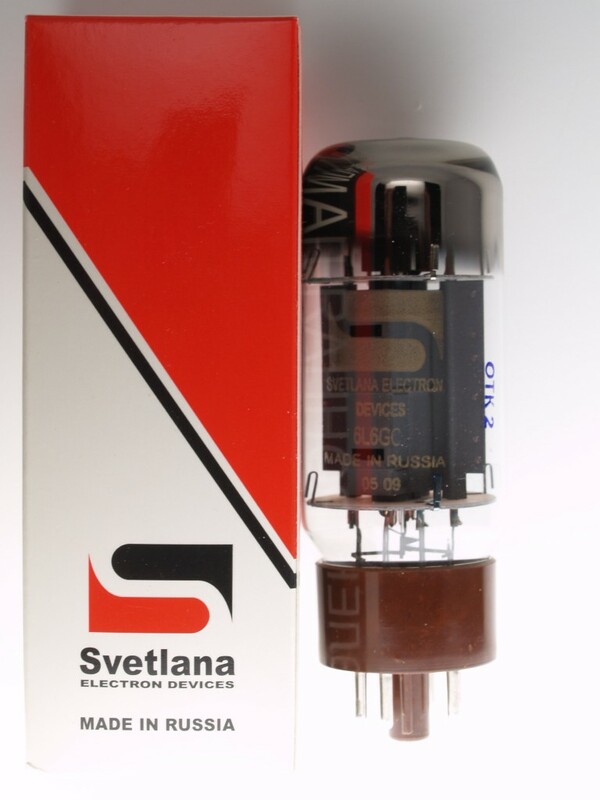 The Svetlana 6L6GC produces a tight clean sound, and has a nice, smooth breakup. Same tube as the old Tung-Sol 7581 model. All I can say is wow... I should have found you 10 years ago. I received the "metal" tube package for my Mesa Triple on time. We had 3 hours before our gig... Slapped them in and I was blown away by how darker and deeper my sound was. My amp is finally dialed in. I will be coming back to you guys for sure! Thanks Doug! 2 x Svetlana 6L6GC's for the power tubes and the 5 x 12AX7's tone kit. I want to report that I am very satisfied with the sound, more responsive to what I am doing with the plectrum, and another benefit is the big reduction in hiss from the amp in the distortion channel in idle, which when you are mic'd up though a big PA, is annoying. Also the prompt service and responses from Doug were excellent.